I just can’t figure out why builders pay so little attention to the gardens in new builds! 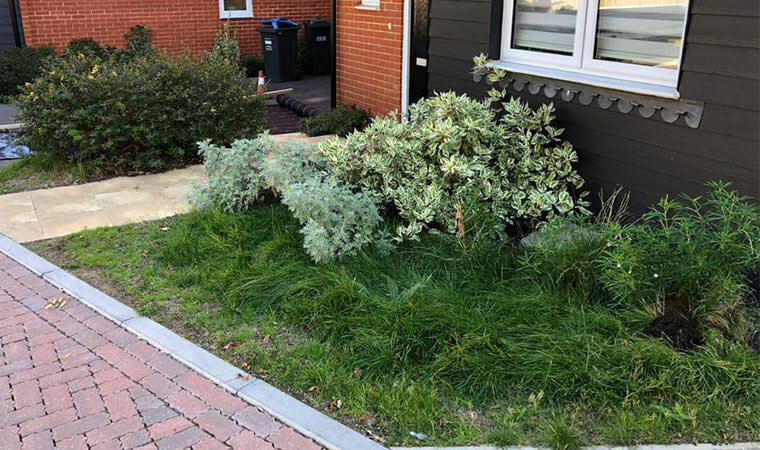 This front garden in Oxted, Surrey had the wrong type of shrubs planted. Left to their own devices they would have out grown the whole area including the path. We were asked to make the area more manageable and cleaner looking. 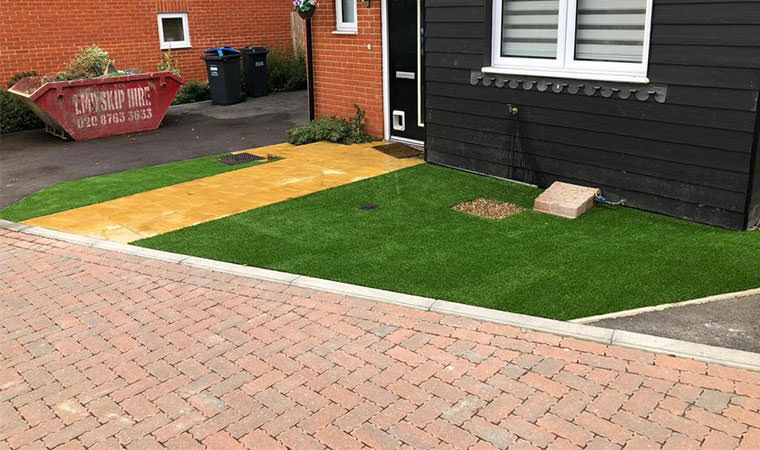 We removed the shrubs, installed the groundworks and fitted the artificial grass. This garden now looks, clean, neat and tidy and is in keeping with the lovely house.